If we trust in Jesus the Christ, who lived the perfect life, volunteered to be executed in our place, and rose again from the dead by His own power, we can be forgiven for all of our crimes against God. 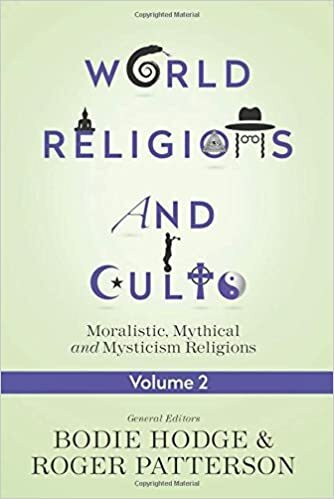 Christian groups around the world recognize certain texts to be authoritative in terms of religious belief and practice. Different Christian groups differ on exactly which texts, some having more and others having fewer, but there is almost always a particular core that is agreed upon. These groups differ on how exactly the texts are authoritative, with some believing that they are absolutely inerrant in everything that they assert, including issues of history and science, biology and mathematics; and others claiming they are only authoritative in elements of faith and religious practice, but we all agree that they can be trusted and ought to be followed at least in areas of faith and religious practice. Christians have compiled these many texts together and call the result the Bible. Among these texts that virtually all Christian groups seem to accept as authoritative are the four gospels, Matthew, Mark, Luke and John, which are historical narratives of the ministry of Jesus of Nazareth. The Book of Acts, written by the same author that wrote the gospel of Luke, tells us about the activities of the immediate followers of Jesus after He died and rose again from the dead. The Book of Romans, a theological treatise on how to be right with God by a first century Jew named Paul, a former enemy of Christians, is another undisputed text that all Christians accept; along with the five books of Moses: Genesis, Exodus, Leviticus, Numbers, and Deuteronomy, which tell us about the beginning of the world and the establishing of the nation of Israel, the nation that provided the world with Jesus. The books of Moses also tell us about the law that God gave to the Israelites, including the famed Ten Commandments. There are more universally accepted books as well, but for my purposes, these eleven will more than suffice. In the five books of Moses, we are told about God's rules of behavior when humans are under His direct governance, and in those books, as well as in the book of Romans, we are also told about the penalty for disobedience, which is death. For lesser crimes or trespasses and also for unintentional sins, God has mercifully allowed animals to die in the place of the human sinner, as a substitutionary atoning sacrifice. But in all cases, someone had to die when a sin was committed, and no substitute at all was provided for the most serious of sins. As we would expect, though, all of the animals that died stayed dead. There was never any indication that the death penalty had been paid in full and would never need to be paid again. There was never any fulfillment. Never any final satisfaction. Instead, that dreaded penalty for sin remained, hovering over humans, unrelenting, unavoidable, and absolutely final. With more sins, more animals needed to die, because the blood of bulls and goats was unable to completely take away the penalty for sins. And this penalty of death, once enacted, was always permanent. In the four gospels, we hear of a man named Jesus, known as “the Christ,” or the anointed one, who comes on the scene in the first century. Jesus is announced by a prophet named John, who refers to Jesus as “the Lamb of God,” a reminder of the sacrifices God had commanded in the books of Moses. The Christ did all kinds of peculiar things. No one could completely figure Him out while He was alive. Some of the things He did were wonderful in everyone's eyes -- He healed the sick, sometimes with nothing more than a word, made the blind to see, even brought people back to life temporarily, one particular time by merely telling the dead man's stinky, rotting corpse to come to Him. But as awesome, miraculous, and truly amazing as all of that was, that kind of thing has all been standard fare for prophets and magicians of all sorts throughout the ages. Something that set Jesus apart from other prophets, miracle workers and magicians during His life on earth was that He claimed He had the power to forgive sins. But when we sin, we sin against God, since He is the one who made the rules we break. As a result, only God can truly forgive our sins against Him. Imagine, after all, if you stole a car from your friend Bob. And then imagine if I tell you that I forgive you for that. Are you really forgiven? How can I forgive you for what you did to Bob? The very idea is absurd, and an insult to Bob. The only way I could really forgive your crime against Bob would be if I myself was Bob. This seems to be the same reasoning that people who heard Jesus used. As a result, when He said He could forgive sins, they understood Him to be equating Himself with God. According to the Christian Bible, Jesus was executed for blasphemy, specifically, for claiming to be equal with God... perhaps even for claiming to be God Himself. Jesus died. He was buried. And His followers ran away from the authorities, terrified. Three days after Jesus was executed, He came back to life, rising from the dead by His own power, never to die again. Remember, death is the dreaded penalty for sins, and this man, who claimed to have the power to forgive sins, had now conquered death, clearly demonstrating He had power over the penalty for sins. The “Lamb of God” had died as a substitution for us, shedding His own blood as an atonement for our sins, including those sins that were allowed no substitute in the books of Moses. And this time, death was demonstrably conquered. Since Christ offered the forgiveness of sins, and demonstrated He really has authority over the penalty for sins, sin no longer reigns over those who put their faith and trust in Him. We who trust in Christ trust that even though we too will eventually die, death will not be permanent, even as it was not for Christ. As Christ, who offered us forgiveness of sins, rose from the dead, showing power over the penalty for our sins, we trust that after death we too will one day rise to live permanently with Christ, according to His promise. Through Christ, we can be right with God. Sin is no longer in charge of our eternity, and death no longer reigns over our mortal bodies, if we place our trust in Jesus Christ. I am not a Christian because I was convinced by the proofs that I offer here on this website. Instead, I developed these proofs because I was already convinced of the conclusion. The existence of God has never been something I have ever seriously doubted. Historically, virtually every people group ever has held to a belief in some kind of God. For me, this particular point was never in serious question. I ought to obey God's rules. But one day, I realized that I hadn't. I understood that I was a sinner. I was a troublemaker. I was guilty. I deserved punishment. I didn't even deserve the gift of life. To say I was absolutely distraught is an understatement. I understood that there was a problem, and I knew that I had caused it. I also knew that I could not fix it. There was nothing I could possibly do to make up for what I had done. I could try to make the most of it. I could try to live a good life from that point on. But even if I succeeded at being perfect for the rest of my life (something that frankly seemed absolutely impossible to me), what I still could not do was erase my past. Growing up, I had been taught that forgiveness from God was possible through the sacrifice of Jesus Christ. At the time, I couldn't find another solution that seemed even remotely reasonable. I grabbed ahold of Jesus with both hands, and I have never let go. Romans 5:12, 5:21, 6:23; Genesis 2:17; Exodus 21:12-17, 21:29, 22:19, 31:14-15, 35:2; Leviticus 20:2, 20:9-16, 20:27, 24:16-17, 24:21; Numbers 35:16-21, 35:30-31; Deuteronomy 13:5, 13:9, 17:5-7, 21:21, 22:21, 22:24. Leviticus 17:11; Deuteronomy 21:1-9; Leviticus 4-5, 5:1-6, 6:2-7, 9:7-15, 16:6-11, 19:20-22, 23:19; Exodus 29:36, 30:10; Numbers 7, 15:22-28, 29. John 1:29, 1:36; Genesis 22:8; Exodus 12; Leviticus 5:1-6. Matthew 4:24, 8:16, 9:20-22, 14:14, 15:22-28; Luke 4:40, 5:15, 6:17, 7:2-10, 9:11; John 5:6-9. Matthew 9:27-31, 12:22, 20:30-34; Mark 8:22-25, 10:46-52; Luke 18:35-43; John 9:1-7. John 11; Matthew 9:24-25; Mark 5:35-42; Luke 7:12-15, 8:49-55. Matthew 9:2-3; Mark 2:4-7; Luke 5:20-21, 7:48-49. Matthew 26:63-66; Mark 14:61-64; John 5:18. Matthew 27; Mark 15; Luke 23; John 19; Acts 2:22-23; Romans 5:6-10. Matthew 27:57-61; Mark 15:43-47; Luke 23:50-55; John 19:41-42; Acts 13:29. Mark 14:50; Matthew 26:56, 26:69-75; Luke 22:54-62. John 2:19-22; John 10:17; Matthew 28; Mark 16; Luke 24; John 20; Acts 2:24, 2:32, 3:15, 3:26, 4:10, 5:30, 10:40, 13:30-37; Romans 4:24-25, 6:4, 6:9, 7:4, 8:11, 10:9. Romans 3:21-26, 4:24-25, 5:6-11; Acts 13:38-39, 26:15-18; John 11:49-52, 14:6. John 3:16-18, 3:36, 6:40, 11:26; Acts 5:31, 13:38, 26:18.; Romans 6:23, 10:9-10. John 3:18, 3:36, 5:24, 6:40-47, 8:24, 11:25-26; Mark 16:16. "Comparing Exodus Ch.33 V.20 with Genesis 32:30, God says no man can see Him and live, and then Jacob is celebrating to have done just that. Is this a contradiction?" Here are the relevant passages (NASB)... Exodus 33:20 But He said, "You cannot see My face, for no man can see Me and live!" Genesis 32:30 So Jacob named the place Peniel, for he said, "I have seen God face to face, yet my life has been preserved." Neither of these passages is intended to be taken literally. "Has God always existed and always will? If so, how did God design the universe if nothing existed to guide him and nothing existed for him to think about." I don't think I completely understand your question. The question itself seems to presuppose some things that are not accurate, and so I'm not really sure how to answer it. If your basic question is "how did God design the universe?" then I can honestly tell you that I have no idea -- God didn't specifically tell us how He did it and I have never designed a universe myself, so I wouldn't know the first thing about it. "According to Christianity, do those of Jewish faith go to hell for not accepting that Jesus was the Son of God?" Yes. Everyone has earned their place in hell, myself included (Romans 3:23, 6:23; Revelation 21:8). The only way that God has provided for us to get out of what we deserve is by trusting in the person and work of Jesus Christ (Romans 10:9-10; John 6:29). Everyone who denies Jesus their entire life is in turn denied by Jesus before His Father in heaven -- Jewish, Muslim, Sikh, Hindu, Atheist, Agnostic, etc (Matthew 10:33). "Is there a question to which you all would give the same - or almost the same - answer?" I certainly can't speak authoritatively for the opinion of anyone other than myself, but it seems to me that everyone can easily be convinced to agree that if something is, then it is; and also that nothing can both be and not be at the same time and in the same way. In other words, the Laws of Logic are valid. An interesting point to note, however, is that holding to the Laws of Logic can only be rationally justified under Christian assumptions. "What does your religion say about homosexuality?" The Bible makes it very clear that homosexual behavior is in direct opposition to God's commands for us (1 Corinthians 6:9; 1 Timothy 1:10; Romans 1:26-27; Genesis 19; Leviticus 18:22; Leviticus 20:13). The Bible also makes it clear that everyone is born with a predisposition toward sin (Psalm 51:5; Romans 3:10-23, 5:12). The answer, as with most questions, depends on how one defines the terms. If "omnibenevolence" means that God is always and perfectly desiring "the good", then yes, God is omnibenevolent (Mark 10:18; Romans 12:2). If, on the other hand, it means that God is always and only desiring the eternal and ultimate happiness of all humans, then no, God is not omnibenevolent (1 Samuel 15:2-3; Genesis 6:7).